TASK™ 8 Product Information | Smooth-On, Inc. Specific Volume 25.4 cu. in./lb. 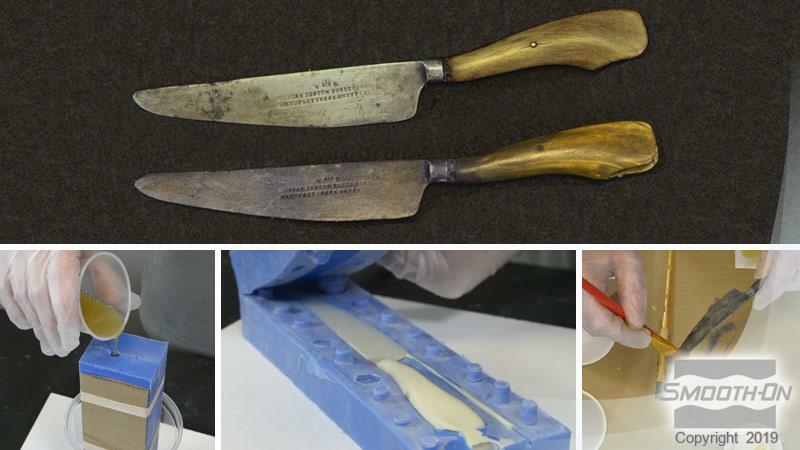 TASK™ 8 is a heat resistant polyurethane resin system made specifically for prototyping / casting applications which require thermal resistance of up to 263°F /129°C. 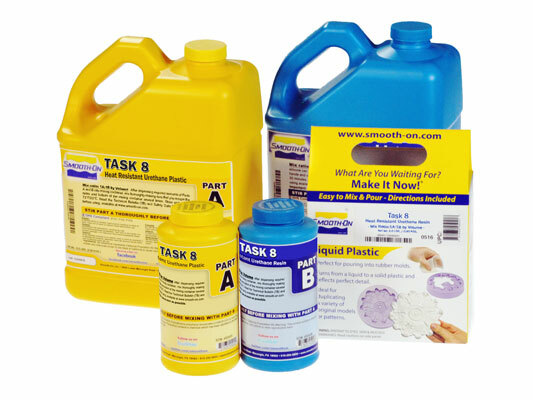 TASK™ 8 offers the convenience of a 1A:1B mix ratio and has a very low viscosity, so it is easy to mix and pour. Plastic cures quickly to a Shore 80D and exhibits good physical and performance properties. Heat curing this material is necessary to attain optimal heat resistance. See “Heat Curing” section for curing schedule details. 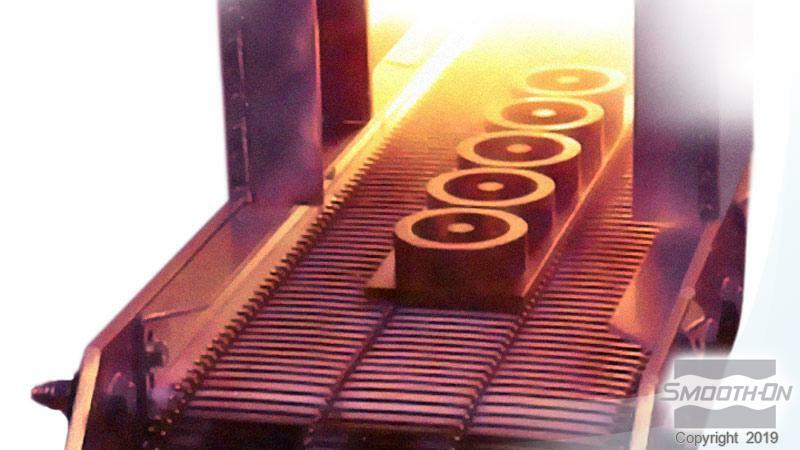 Applications include making machine housings, thermo-forming and general prototyping / casting. Applying A Release Agent - A release agent is necessary to facilitate demolding when casting into or over most surfaces. Use a release agent made specifically for mold making (Universal™ Mold Release or Ease Release™ 200 available from Smooth-On or your Smooth-On distributor). A liberal coat of release agent should be applied onto all surfaces that will contact the plastic. IMPORTANT: To ensure thorough coverage, lightly brush the release agent with a soft brush over all surfaces. Follow with a light mist coating and let the release agent dry for 30 minutes. 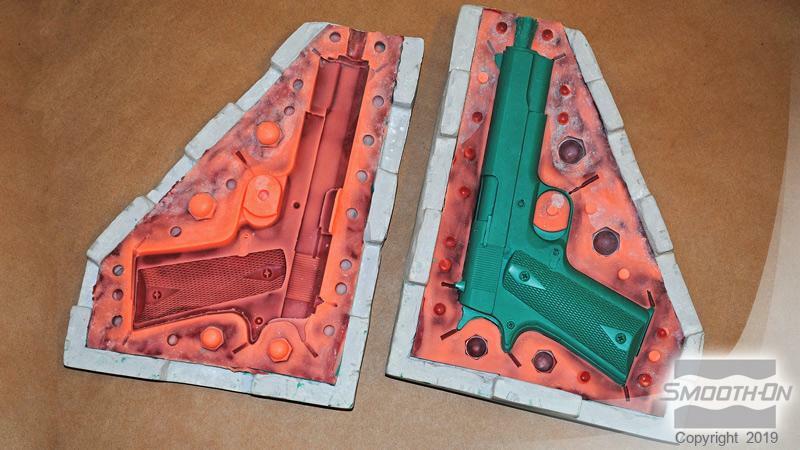 Most silicone rubber molds usually do not require a release agent unless casting silicone into the mold. Applying a release agent, however, will prolong the life of the mold. Shake or stir both Part A & Part B before dispensing. After dispensing equal amounts of Parts A and B into mixing container, mix thoroughly. Stir slowly and deliberately making sure that you scrape the sides and bottom of the mixing container several times. Be careful not to splash low viscosity material out of the container. Remember, TASK™ 8 will set up quickly. Do not delay between mixing and pouring. Curing - TASK™ 8 will cure in 10-15 minutes depending on mass and mold configuration. Non-hazardous fumes, which may be visible as this product starts to “gel” and cure, will dissipate with adequate (room size) ventilation. Performance - Cured plastic is rigid and durable. It resists moisture, moderate heat, solvents, dilute acids and can be sanded, machined; primed/painted or bonded to other surfaces (any release agent must be removed). If sanding or machining, wear dust mask or other apparatus to prevent inhalation of residual particles. Plastic can be displayed outdoors after priming and painting. 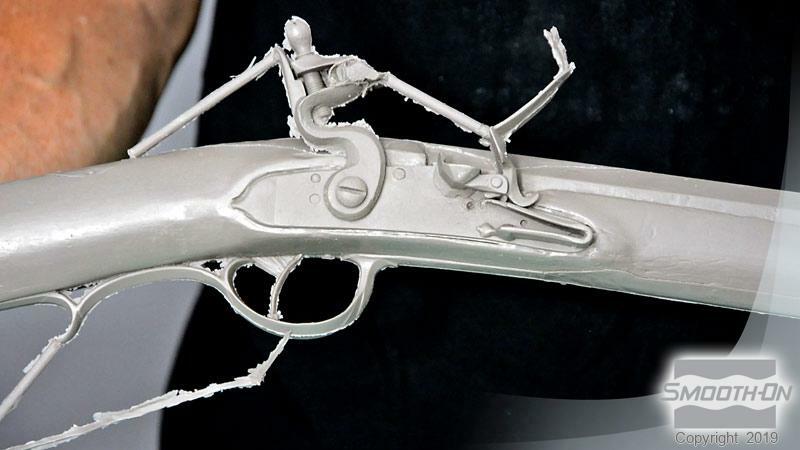 Unpainted castings will yellow when exposed to ultra-violet light.